Ever since I started tracking my happiness, I have seen a lot of different scales being used. My method of tracking happiness uses a scale from 1 to 10. Over the years, I have received a lot of questions and comments about this happiness scale. There are many reports, platforms, surveys and apps that track happiness on a different scale! This article discusses why the Tracking Happiness method is based on a happiness scale from 1 to 10. I also explain the different pro's and cons to other happiness scales, and why in the end it really doesn't matter all that much what scale you use. Before we dive into the article, let's have a look at our happiness scale from 1 to 10. Can you guess why I track my happiness on a scale from 1 to 10? There are actually numerous advantages to using this happiness scale, but the by far the biggest advantage is that it's easy to use and explain. Here in the Netherlands (...and the rest of Europe and most of the world actually), the school system grades students on a similar scale from 1 to 10. Every test that I made as a student was graded from 1 to 10. The average is 5.5, which is the most commonly used threshold for passing a test. I was a pretty lousy student, so I always knew exactly how much I needed to score in order to pass my tests. I wasn't that ambitious as a student. This is my end of the year report card (in Dutch) for the 2008-2009 schoolyear. Since most of the world uses this system, it's the easiest to explain this happiness scale to anybody. If you feel miserably unhappy, you rate your day with a 3. If you are extremely happy then you rate your day with a 9. An unhappy day should theoretically be rated <5,5. It's that simple. Another advantage of using this system is that it's the most convenient data format to calculate and analyze. We track our happiness on a scale from 1 to 10, which are numerical values. These numerical values can be directly used for mathematical analysis. If that's what you want (which we do here at Tracking Happiness) then this is the easiest, most straightforward happiness scale. The last advantage I want to mention is that this happiness scale is linear and evenly distributed. With that, I mean that the difference between a 2 and 3 is theoretically the same as the difference between a 3 and a 4. If you have ever designed a survey then you likely know what I'm talking about. Other scales for happiness tracking? Some apps, surveys or platforms want you to define your happiness on a different scale. Instead of using the happiness scale from 1 to 10, these others tools want you to define happiness in other symbols or units. I think that's totally fine as well, although there are certain pros and cons for all these different happiness scales. Happiness on a scale from A to F? This happiness scale might make sense to you if you're from the USA. 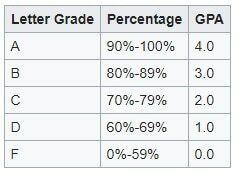 Schools in the USA grade test scores on a scale from A to F, where A is the highest rating and F is the lowest. There are a number of disadvantages to this scale. First, this happiness scale makes it difficult to analyze the recorded data. You can't apply math to these letters without first converting them to numerical values. And that's challenging, because what value would you correlate to the letters? Would an A be a 10? A 100? A 5? or a 1? Second, if you rate your happiness strictly using A, B, C, D, or F, then you only have 5 options. So converting the letters A - F to the numbers 1 - 5 would make the most sense, right? Would you feel like this is enough? If today you feel slightly happier then yesterday, which you rated with a B, then would you rate today with an A or still a B? Or would you perhaps rate your day with a B+/A-? That would introduce additional challenges when turning those letters into numerical values. HEADACHES! The difference between an F and a D could be far more than the difference between an A and a B. Also, what happened to the E? These are all reasons why it wouldn't make real sense to use this happiness rating scale. Some apps want you to forget about numbers and letters entirely and just ask for an emoji instead. Hell, YouTube and Facebook are now surveying for your emotions only via thumbs up or thumbs down. And it makes sense, as this is probably the easiest to use and explain. You just pick the emoji which most resembles your emotion. No need to think about numbers and all that. Just simple and intuitive. And it apparently works! People are much more likely to answer questions using icons or emojis as opposed to numerical values. 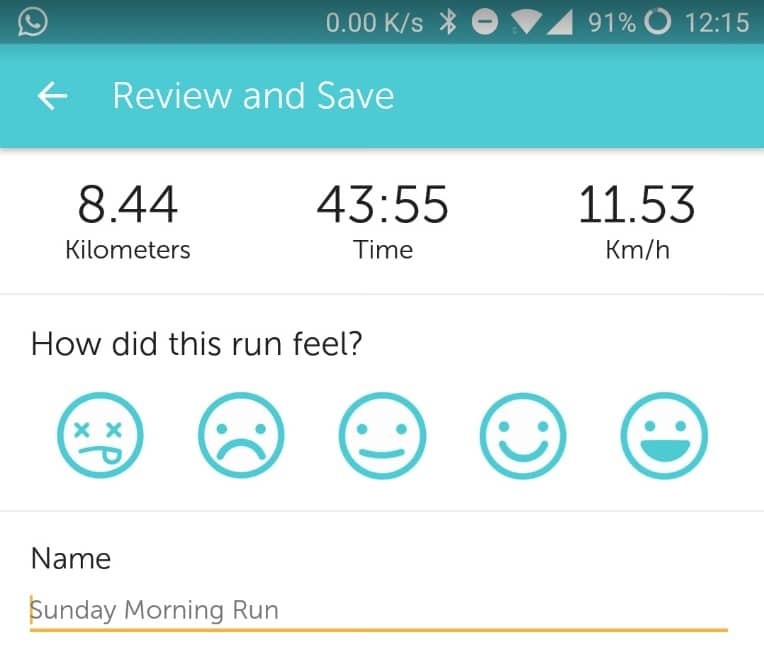 Just look at this example from Runkeeper below. However, we still need to convert these emojis into numerical values, and most surveys using this system only offer you to choose between 5 emojis. This introduces the same problems as with the scale from A to F. Are 5 options really enough to accurately track your happiness on a day to day rate? Happiness on a scale from 0 to 10? Some may argue that a scale from 0 to 10 makes more sense since the average would be a round-number (5). Anything below a 5 is unhappy, anything above it means happy. However, what I find difficult about this is that 0 is a strange number from a mathematical point of view. What I mean is that division by 0 results in errors. It can't be done. So if you ever want to go the extra mile with your data analysis and divide the count of happiness factors with the happiness rating, then you might run into errors. The best happiness scale is the one you use! Whatever works for you is great! If you are tracking your happiness using smileys, that doesn't mean you're doing it wrong. Absolutely not! The most important thing to take away here is that tracking happiness is great and valuable either way, no matter what scale you use. Whether you rate your happiness on a scale from 1 to 10, 0 to 10, A to F, or 923 to 100448 for all I care, it seriously does not matter. In the end, the only thing that really matters is that you keep it up. Tracking happiness is about consistently judging your own happiness. And for that, you need to use the same scale from day to day. Human beings are biased, and rating something as subjective as happiness is obviously going to be prone to these biases. It is therefore important to acknowledge that and to simply remain consistent in your judgment. That includes using the same happiness scale. 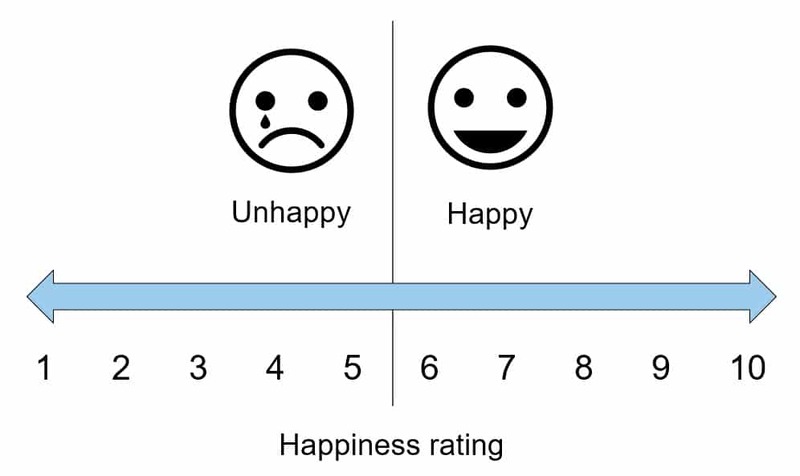 One happiness rating in itself has basically no analytical value. But as many statisticians know, the more data you collect, the more reliable, interesting and eye-opening the results are going to be. If you want to have a go at tracking happiness yourself, I'd love you to join our community! This website is about sharing experiences regarding happiness, and I believe every person has something unique to bring to the table. If you're up for it, I'll gladly host you on the Happy Blog where you can share your experiences with the world. I think I will give it a try. I have been feeling a bit blue as of late. As I read the article, I was thinking “Yeah, that’s fine and all, but how do you determine if today is a 8 and tomorrow is a 5?” But at the same time, I would say I’m a 4 today, just like yesterday, and that would change if I did something different. Track the Happy Factors. Sorry for rambling, but I definitely think this is going to be of much help for me. Thank you, really. That is great, Aaron! Just follow your intuition when deciding how to rate your happiness. As you keep it up, you will eventually get a better feeling of how your happiness is influenced. Please let me know if there’s anyway I can help you!